Hiroshi Allen has spent 41 years studying, practicing, and living Shotokan Karate, including more than a decade of competition on the world stage. 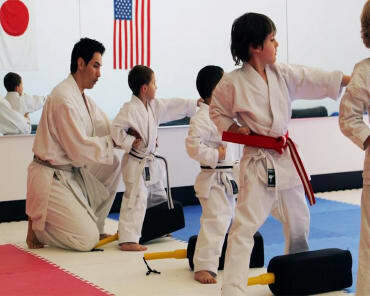 Karate is in Hiroshi's lineage and he aims to pass along that dedication to every student who comes through our doors. 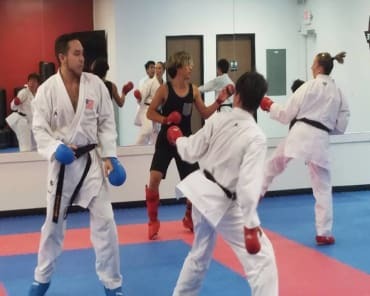 Hiroshi's introduction to Shotokan Karate came at an early age, thanks to his mother, who was a 2-time World Champion and his father, who was a captain of the US National Team. Hiroshi’s personal achievements began with 3 Junior Olympics Gold Medals in the late 80's and foreshadowed a long career of success and accomplishment. Beginning in 1990, Hiroshi became a member of the U.S. Shotokan Karate Team, serving until 1994. From 1995-2000, Hiroshi was a member of the U.S. National Karate Team, accumulating 17 National Championships along the way. Hiroshi has represented Team USA in a wide range of international competitions, including the World Cup, the Pan-American Games, the University World Games, and the International Goodwill Invitationals. He later served as the training partner for Randy Couture in preparation for his UFC 129 bout and for Ryan Bader before his UFC Fox #4 bout. Hiroshi last appeared as a member of the U.S. National Karate Team in 2006, before moving into his current role as an instructor and mentor. Following a decorated Karate career, Hiroshi now serves as an industry leader for some of the best up-and-coming fighters around. Today, Hiroshi works as the tournament director for the U.S. Open Karate Championships and the USA Karate Junior Olympics. His goal each and every day is to pass along his knowledge and passion for Shotokan Karate to the next generation of fighters and champions. Karate has served as the guiding light for much of Hiroshi's life and his hope is that he can share those values with everyone in our community!